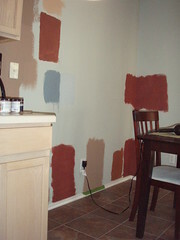 Total first world problem here in the Lunderoy household... what color do we paint our kitchen? Sigh. It's sooo much harder than we anticipated... Seriously, it's frustrating and time consuming but fun and exciting and a good "problem" to have. 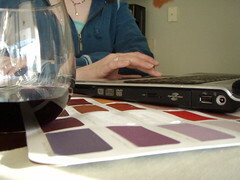 Here are a few pictures that Paula snapped during her visit of us working on the kitchen.